There’s a wonderful simplicity that characterises Jermain Defoe’s career: a love of playing and a love of scoring goals. It sounds faintly ludicrous – a Premier League striker driven by the desire to find the back of the net. However, what has set Defoe – who, at 34, is still scoring at a remarkable rate for Sunderland – apart from his contemporaries is his insatiable, exploratory appetite for scoring. Defoe, a product of West Ham’s exceptional youth academy emerging at the turn of the millennium, has always been an erudite academic in the fine art of goalscoring. While at West Ham, a teenage Defoe would often spend hours alone on the training ground attempting to perfect his shooting technique from every perceptible angle and distance, imagining how opportunities to score may arise, and re-enacting them strenuously. That methodology, honed throughout his 15 years in the game, has helped this fast-talking kid from London become one of the deadliest finishers the Premier League has ever seen. 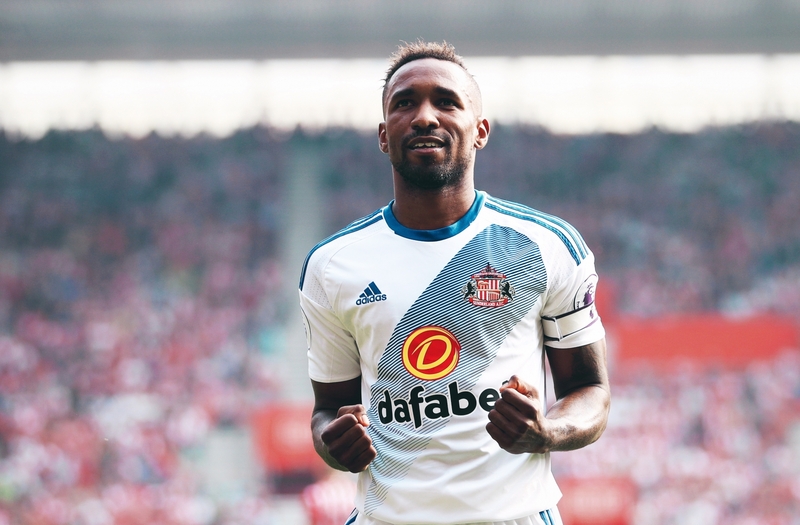 In Sunderland’s recent 3-0 win over Hull City, Defoe scored his 150th Premier League goal. Only seven other players – Michael Owen, Robbie Fowler, Thierry Henry, Frank Lampard, Andy Cole, Wayne Rooney and Alan Shearer – have reached such a milestone. It’s one of the Premier League’s most exclusive clubs, but Defoe richly deserves his place among his fellow marksmen. Being a budding striker in a top division can often be one of the most frustrating positions in football and, like most prospects, Defoe was forced to wait before striking fear into goalkeeper’s hearts all across the country. Having joined West Ham from Charlton in 1997, Defoe had caught the eye as a devilishly quick and clinical striker for the Hammers’ academy, his goals lifting them to a Premier League Academy title in 2000. Following that, Defoe was sent on loan to Bournemouth by Harry Redknapp to gain experience. There, despite barely being a legal drinker, Defoe took the Second Division by storm, becoming a cult hero at Dean Court within three months of signing. His rise to prominence was defined by one thing: goals. Following his arrival, Defoe scored in 10 consecutive matches. A perfect 10. It was virtually unheard of, especially for a striker this unfledged. Though he may have been young, Defoe had been sharpening his skill set for some time prior to his record-breaking spell at Bournemouth. He spoke recently, during an appearance on Sky Sports’ Goals on Sunday programme, about a time when he was a teenager at West Ham practising his shooting. Defoe repeatedly found the corner of the net with volleys, shots and headers, until one caught Redknapp’s eye. Supposedly the manager pointed to Defoe and told his first-team strikers – Paolo Di Canio and Davor Šuker among them – “that’s how you finish.” That, according to Defoe, was both bewildering and exhilarating to hear from Redknapp. There was something uncomfortable to Defoe about being used a source of inspiration for West Ham’s Player of the Year (Di Canio) and the most recent World Cup Golden Boot winner (Šuker). But that did not serve to give Defoe a deflated ego. Instead, he used it as a first building block in his quest to reach the first-team. His loan spell at Dean Court was fruitful and important, but Defoe was only getting started. Determined to follow in the footsteps of Michael Carrick, Rio Ferdinand, Frank Lampard and Joe Cole in pushing on from being a promising young Englishman, Defoe did all the right things to cement his place in West Ham’s senior squad. Redknapp had left Upton Park in May 2001, just as Defoe’s Bournemouth loan was coming to an end, over a damagingly forthright interview he gave with a fanzine. Defoe saw Redknapp’s departure as the loss of a mentor, a figure who had been influential in the formative years of his career. Redknapp, thoroughly impressed with Defoe’s purple patch at Dean Court, had repeatedly tipped the striker for stardom in interviews and emphasised his excitement at the prospect of working with him. As it were, Glenn Roeder became the man Defoe needed to impress in east London – and he accomplished that brilliantly. Used mostly as a substitute, Defoe still managed to amass 14 goals in 39 league and cup appearances for the Hammers. It wasn’t the number of goals that earned Defoe praise from the fans and media during his first full season as a senior West Ham striker, though – better yet, it was how he scored them. Defoe’s predatory instincts have always been a fundamental, primal element of his play, but during his first batch of appearances he began to study the movements of Premier League defenders and goalkeepers. He grew to understand how a combination of dynamic movement and runs timed to the nanosecond could be the most devastating piece of kit in his artillery. He has always been blessed with pace, balance and an ability to score with both feet, but Defoe began to appreciate the benefit of sharp, direct movements that pull defenders away from each other – and sometimes leave them grabbing at thin air in his wake. Premier League football is a game of the finest margins and, as a striker, Defoe threw himself into an education where the main objective of the curriculum was to steal a yard on defenders and execute a finish. Before long he became a maestro of both. Defoe’s first appearance at Old Trafford illustrated his burgeoning skills. West Ham were locked in a tense stalemate with Sir Alex Ferguson’s star-studded, albeit declining, Manchester United, and Defoe, like so many subsequent times throughout his career, proved to be the difference. United were wasteful when pouring forward, but West Ham were clinical when it mattered. When Di Canio swivelled his way into the United penalty area and looked up, Defoe knew exactly what was coming. While many in the Stretford End may have feared a notorious rocket launched from the boot of the explosive Italian, he instead picked out his new striker partner with a clever little chip towards the back post. Defoe had read Di Canio’s intentions before Phil Neville in United’s defence and Fabien Barthez between the posts and, as a result, was able to elude the defender’s attentions to rise and meet the cross, delivering a killer blow to United. Defoe continued to score regularly for West Ham, but he was powerless to stop their spectacular disintegration the following season. The Hammers had finished in an impressive seventh in the 2001-02 season and, with a team full of international stars, were considered ‘too good to go down.’ Defoe finished the season as top scorer in all competitions, but West Ham were relegated on the last day of the season, with Bolton Wanderers surviving instead. It was a deeply disconcerting time for their supporters, worsened by Defoe’s first high-profile error as a professional footballer as he submitted a transfer request 24 hours after the club’s relegation was confirmed. 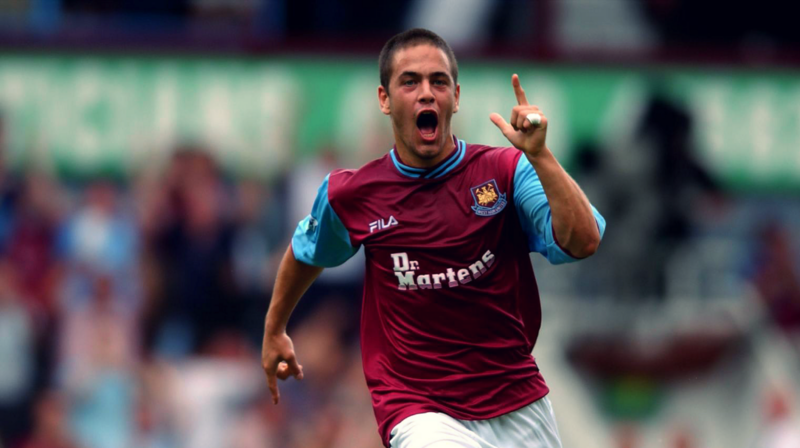 Read | West Ham 2002-03: the best team to ever get relegated? The timing of the request drew heavy criticism. Having encouraged him as a promising young talent, the supporters felt betrayed at Defoe’s apparent willingness to run at the first sign of trouble. Instead of vowing to stay and help the club back up to the Premier League – which is what they needed to hear – Defoe instead decided to do the exact opposite. Despite the backlash from fans, Paul Aldridge, West Ham’s managing director, confirmed they had rejected the request, stating that they believed Defoe was misled by poor advice from his agent. He subsequently apologised and admitted that he had mishandled the situation. Unfortunately, supporters are difficult to win back and with three red cards during the first-half of the 2003-04 season, the club accepted an offer from Tottenham Hotspur for Defoe in the January transfer window. At 21, Defoe had time on his side to establish an excellent career at White Hart Lane. He was afforded the chance to do just that under Martin Jol, the Dutchman who was appointed Spurs boss in 2004 and promised to instil a brand a football that harked back to the legendary Tottenham teams of yesteryear. This was exactly the kind of environment in which Defoe could flourish. The pressure was more intense at Spurs and, with Champions League football an achievable ambition, the expectations were significantly higher than at Upton Park. But Defoe responded like all good strikers, with goals. He netted 22 in 45 appearances during the 2004-05 season, including a glorious dipping effort into the top corner during Spurs’ 5-4 defeat to Arsenal. During his time at Spurs, Defoe began to find regular starting opportunities frustratingly elusive. Thanks to Robbie Keane and Dimitar Berbatov’s telepathic strike partnership – the pair scored 23 goals apiece in the 2007-08 season – Defoe was often forced to watch on from the bench. Darren Bent’s £16.5 million arrival from Charlton in the summer of 2007 essentially relegated Defoe to fourth-choice and, as a result, he accepted an offer from old boss Redknapp to join him at Portsmouth, where he established an unlikely partnership with Peter Crouch. Defoe returned to Tottenham and spent another six seasons in north London before taking the unusual step of joining MLS side Toronto FC. It is not to belittle MLS football in saying that, at 31, Defoe still had plenty to offer Premier League teams. Indeed, he rejected advances from clubs closer to home to pursue his transatlantic adventure. Defoe has always been honest about his decisions that have had major implications on his career and, while he would never admit regret over his move to Toronto, there can be no denying it hampered his chances of making the England squad for the 2014 World Cup. Roy Hodgson duly omitted Defoe from his 23-man squad and it was a decision Defoe admitted he would never fully come to terms with. Perhaps that has been Defoe’s biggest mistake – deciding to decamp to Canada when he clearly still had mileage to handle both Premier League and tournament football with England. That decision slaughtered his England career, with Defoe last representing his country in 2013. The striker had repeatedly declared his intention to further his England career yet, despite Hodgson’s warning that moving to the MLS would make it more difficult for him to be selected. In the end, a thirst for top-quality football drew Defoe back to the Premier League. He has always been obsessed with scoring goals and, ultimately, the thrill of scoring a Premier League goal eclipses an MLS one. His record for Sunderland thrust him back into the reckoning for an England call-up and he became the highest-scoring Englishman in the Premier League upon his return. Of course, all that Defoe can do is continue to score goals and try to avoid relegation with Sunderland. The last thing Defoe wants is a repeat of that horrid season with West Ham, but he is certainly doing everything in his power to ensure a happier outcome. Defoe may now be 34, an age that is tougher to hide for a striker than it is for a goalkeeper, but is still playing some of the best football of his career. He has formed another unlikely partnership, this time with the muscular Victor Anichebe, and is scoring freely for David Moyes’ Black Cats. The refreshing thing is that Defoe’s enthusiasm for the game remains undimmed. He has committed himself to a vigorous diet that boosts his electrolytes and has recently admitted to developing an appetite for green tea, kale and spinach. He doesn’t drink alcohol and has worked tirelessly to maintain the levels of fitness required for playing every week in the Premier League, becoming an advocate for yoga. It’s entirely feasible then, at this point, to envisage an England call-up for Defoe but, for now, he is going to focus his attentions on scoring for Sunderland. Even now, after all these years, there’s a trademark to Defoe’s goals. 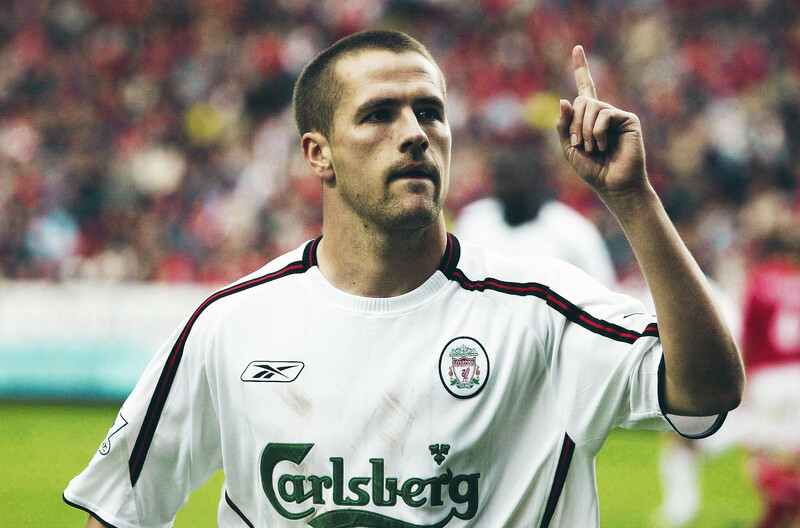 Take his landmark 150th against Hull for example. There was the timing of the run, the determination to nip in front of the defender. Then, in possession of the ball, he was able to utilise that ability to make his movements unpredictable. His touch took him away from the net, but he nevertheless caught the keeper off guard by pulling the trigger quickly and finding the bottom corner. Defoe’s ardour for scoring goals remains impressively undiminished and, regardless of how many goals he ends up with at the end of his career, he will be regarded as one of the finest English finishers in the modern era.